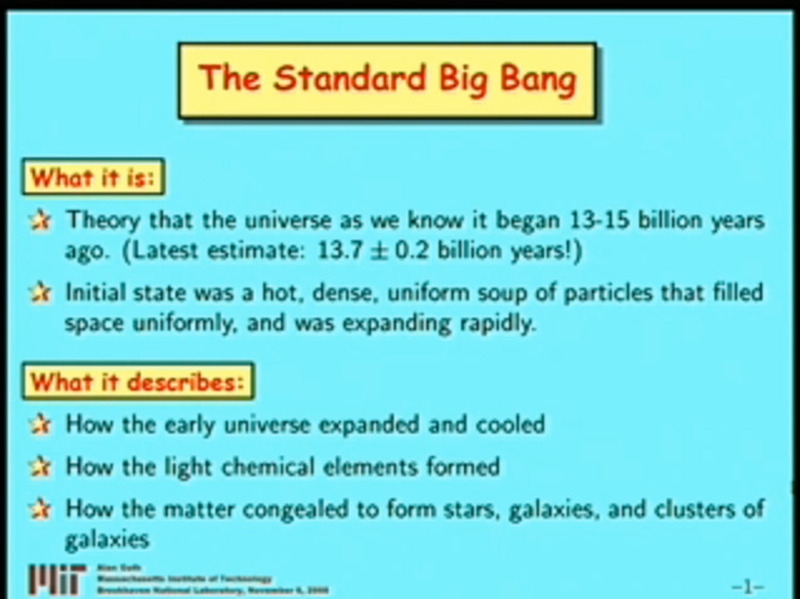 Alan Guth: Inflationary Cosmology: Is Our Universe Part of a Multiverse?. Abstract In this talk, Guth explains the inflationary theory and reviews the features that make it scientifically plausible. In addition, he discusses the biggest mystery in cosmology: Why is the value of the cosmological constant, sometimes called the "anti-gravity" effect, so remarkably small compared to theoretical expectations?